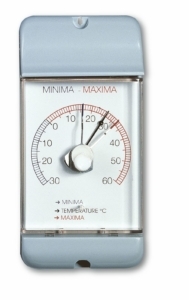 With the coloured pointers of this Maxima-Minima-Thermometer you always have three values in view at the same time: the current, highest and lowest temperatures. You determine the observation period yourself. Just press the turning wheel to reset the display to the current temperature. 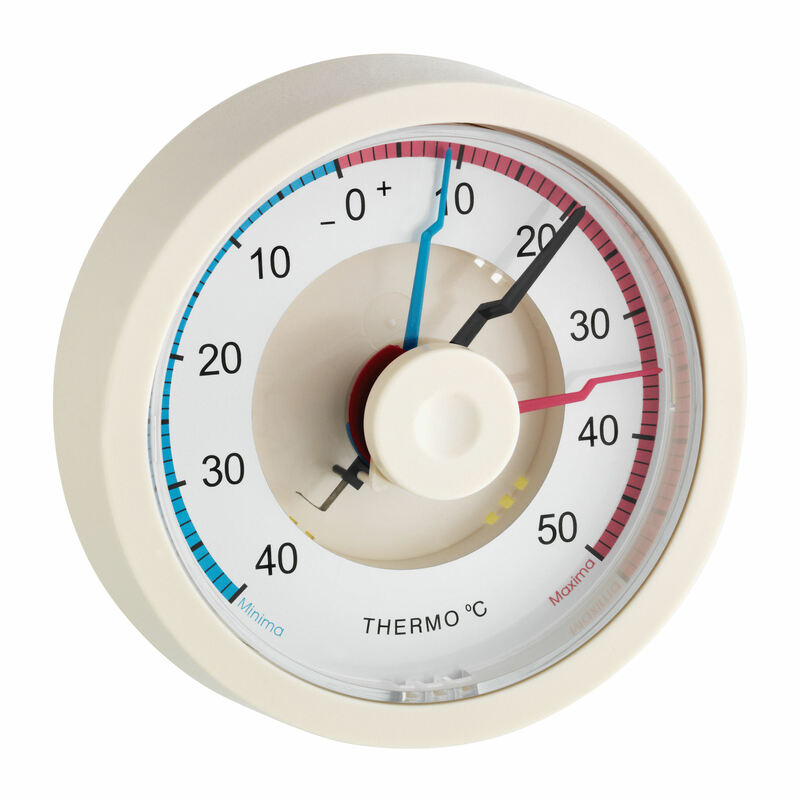 This thermometer is designed for indoor use and is therefore ideal for the temperature monitoring of living spaces, the greenhouse, in the wine cellar or in storage rooms.